April 28 marks the national day of mourning for fatalities and workplace injuries. This day is recognized in 100 countries who pay their respect to the fallen & injured. In 2015, AWCBC (Association of Workers’ Compensation Boards of Canada) reported, 859 deaths in Canada alone. 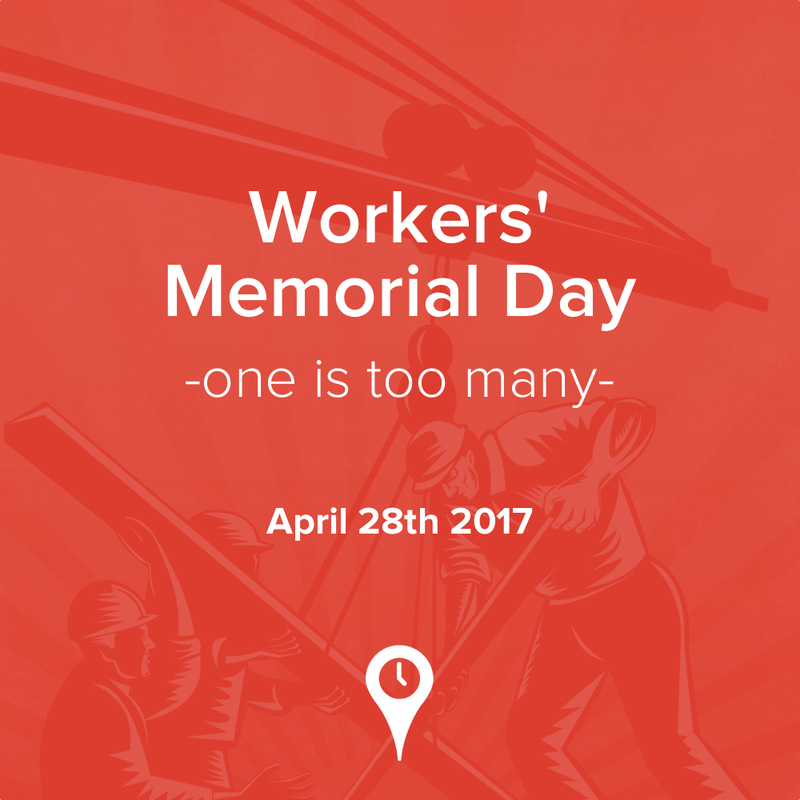 Mourning day is also referred to as, ‘Workers Memorial Day’ which originated 9 years after remembrance day in 1991. Families and those affected come together not only to remember the fallen and injured, but also for reminding the government to take actions regarding health & safety. Last year for the first time, the day of mourning was centralized on a specific topic: asbestos; the ceremony was held at Vincent Massey Park. Please note, the location for 2017 has not been disclosed as of yet. As April 28 is approaching, everyone is encouraged to show their solidarity by attending to honor those who lost their lives and offer support to families and individuals who have been affected. Ottawa will pay tribute to the fallen with a moment of silence at 11:00 am and the Canadian flag will rise at half-mast on Parliament Hill as well as all federal buildings. Punchtime is passionate about workers health and safety; we are continuously involved in research and development to promote smarter and safer job sites.This article has been written to spread knowledge as many individuals are not aware of this annual ceremony. We will be covering previous cases and information leading up to this event on a weekly basis.